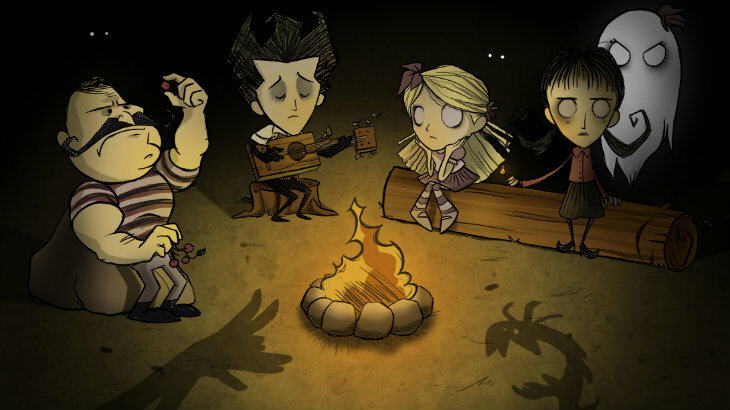 For a long time, Klei has been saying that Don’t Starve is for single player gaming only. However, in a recent post that will make the game’s fans very happy, they have announced that multiplayer is coming. I can’t wait. Don’t Starve has done extremely well on PC and consoles. Its overwhelmingly difficult gameplay combined with charming and bizarre environments and crafting has made it something of an indie darling. However, Klei insisted that they wanted the game to be a fantastic single-player experience and fans should just give up and stop asking about a multiplayer option. Now, they’ve just turned that all on its head. In a forum post, they explain that this was because they didn’t think that they had the resources available to deliver a multiplayer experience while still making the single player something excellent across platforms. However, they brought some new people on board who were able to happen. So, what can we expect? Don’t Starve Together is a multiplayer expansion for Don’t Starve allowing friends or complete strangers to survive together, in either public or private games. As far as we know, it will have most of (if not all) the normal features in Don’t Starve, balanced for multiplayer, and potentially even add new features. For now, multiplayer will only be available for those who purchased the game on Steam or as a standalone title – no PS4 multiplayer just yet. They are aiming to accommodate at least four player multiplayer, and Don’t Starve Together will be a free expansion for those who purchased on Steam/Standalone. The price of Don’t Starve will go up to $20 with the addition of multiplayer around the time the Alpha becomes available – if you still haven’t bought the game and think that multiplayer might be the thing to make you finally grab it, do it now. Considering how much of a time sink it is, it’ll be well worth the price. Klei is working hard to release the multiplayer alpha by late summer in the Northern Hemisphere, so before Q3 for those with different seasonal patterns. This is making me far too happy. I have thoroughly enjoyed Don’t Starve – it is punishingly hard and absolutely bizarre, and a ton of fun. However, I’ve often wanted to play with friends. Imagine, you can send one person out to gather a ton of wood and stone while the other person gets a whole bunch of food. One player can build a beautiful base while the rest of the team go out foraging. Or, you could each have a base and add to the brutality of the game by raiding each other’s scarce provisions. So many options to make it a ridiculously fun experience.